Malcolm Burwell, Director of Technology Development for the International Copper Association, will be speaking at the Powertrain Electric Motors Symposium about the rare earth metal shortage and what it means for the copper industry. He also will be at the SAE World Congress, and TorqueNews will be available to interview him. Malcolm Burwell, Director, Technology Development and Transfer, for the International Copper Association (ICA), will present Copper Rotor Induction Motors: One Alternative to Rare Earths in Traction Motors at 11 a.m. Monday (23 April) at the SAE 2012 Powertrain Electric Motors Symposium for Electric and Hybrid Vehicles at the Westin Book Cadillac in Detroit. He also will show a video in which auto industry experts weigh in on the viability of the copper rotor induction motor as an alternative to the permanent magnet motor for electric vehicles. 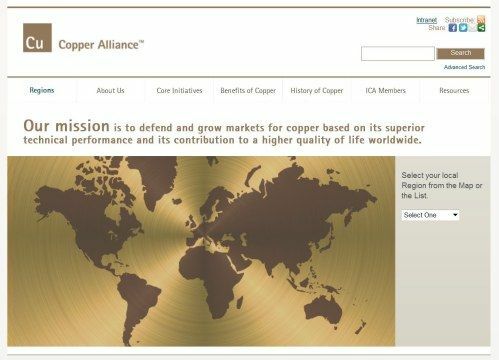 As a follow-up to my previous TorqueNews report on the Copper Alliance ( Read: Auto industry looking to Copper Alliance as alternative to rare earth materials ), this latest news release by the International Copper Association further supports the proposition that the copper rotor induction motor is back in the spotlight as a cost-effective alternative to the permanent magnet motor for electric vehicle traction. Malcolm Burwell, the ICA’s director, will literally present an overview of how the copper rotor induction motor has evolved from its debut in automotive electric traction in the 1990s with the General Motors Impact EV into a state-of-the-art option for the electric vehicle industry. He will then join other experts speaking at the SAE 2012 Powertrain Electric Motors Symposium (23 April) in Detroit. Burwell’s presentation is key because it will cover strategies that engineers can use to change their motor architecture so they contain no rare earth metals, just copper and steel. In contrast to permanent magnet motors, which require earth metals, copper rotor induction motors do not. This is especially significant based on the news last year from China. As a result, as prices for rare earth metals have increased more than 400 percent in the last two years, according to a recent report in metal-pages.com. For the record, Burwell leads the hands-on development of copper rotor die-casting and induction motor design and heads the ICA’s program to develop and transfer those technologies to the supply chain. In addition to his talk, Burwell will show a new video created by the Copper Alliance that features automotive industry experts highlighting the copper rotor induction motor as a strong alternative to the permanent magnet motor for electric vehicle traction when comparing cost, performance and reliability. If you recall from my previous report, the video features industry experts from Remy International, Inc., Fukuta Electric & Machinery Co., and AC Propulsion, all companies that have supplied the copper rotor induction motor for electric vehicle use. TorqueNews will be present to interview Mr. Burwell so as to glean greater insight into the depth of the challenges and the potential gains going to copper. After all, there is scuttlebutt that China may be importing some rare earths itself as early as 2015. If that happens, then the auto industry will have little choice but to count only on suppliers that have a presence in China, as they will likely get first crack at supplies. Then again, despite the efforts by the WTO, perhaps that has been the Chinese plan all along.